With the Excalibur SE Spectrum, Tesoro offers a gaming keyboard with optical, mechanical switches and standard layout. As with all other high-end gaming keyobards these days also this one features RGB backlight and there are different macro modes. Apart from that Tesoro chose to use very solid plastic for this keyboard, which adds a lot to the stability and the overall feel. On top of that this keyboard even features a decent price point. 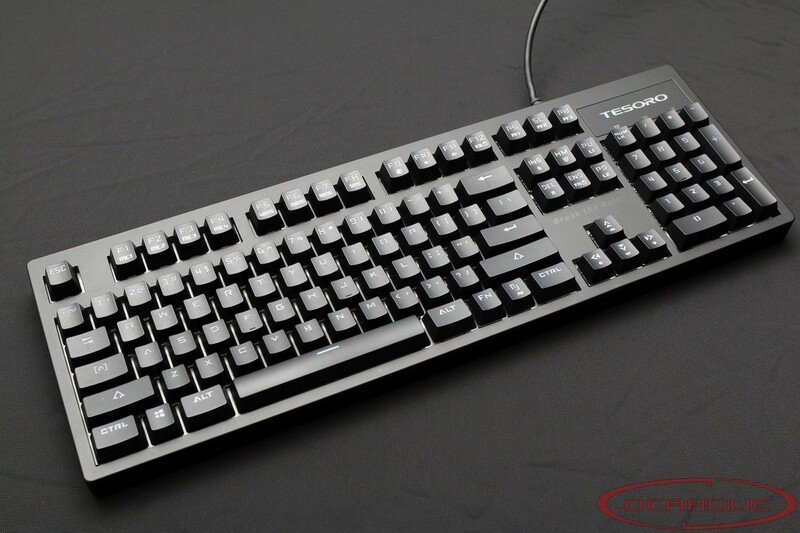 Today we are going to have a close look at the Excalibur SE Spectrum keyboard from Tesoro. Our sample is equipped with optical RGB switches from Gateron. On the following pages we will analyze the main features as well as look for any drawbacks of the Tesoro's new gaming keyboard.